Crewe, Megan. The Lives We Lost. 288pp. Hyperion. February 12, 2013. 9781423146179. 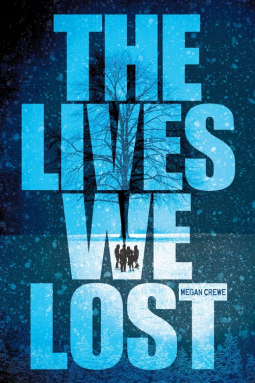 This sequel to “The Way We Fall” finds Kaelyn the lone survivor of her home, family and friends who were all strucken down by a deadly virus in which there is no cure. Kaelyn once lived on a small remote island community in which most of the inhabitants no longer exist due to the deadly spread of an uncurable virus. Kaelyn discovers samples of a possible vaccine in her father’s lab and realizes that she has to get to the mainland to find someone who can duplicate the vaccine that could bring about a possible cure. As Kaelyn journeys to the mainland, she discovers an unrecognizable world…a world riddled with people who will stop at nothing to get their hands on a cure to the deadly ‘friendly flu.’ In the midst of all of this apocalyptic drama, Kaelyn is also trying to make the right decisions in romance. Fans of Veronica Roth’s ”Divergent” will zero in on one particular character, Tobias, who like his counter part in Roth’s book, is very good in the art of self defense. This is the second installment in the Fallen World trilogy.